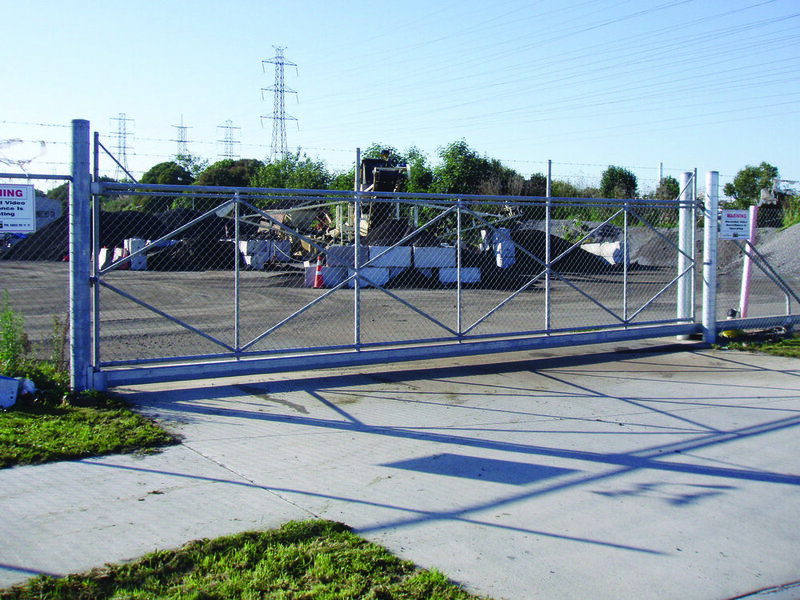 Hampden offers custom fabricated cantilever gates, which can be built to seamlessly match your new, or existing security fencing solution. We can also offer complementary gate automation and access control systems to help you better manage the access of vehicles and pedestrians in and out of your property. Talk to us today about your custom cantilever gate requirements and we'll find you the perfect match for your property. Is a Cantilever Gate Right for Your Property? Cantilever gate systems are ideal for spanning large openings and function much like a typical sliding gate, but without the need for ground mounted track and wheels. The absence of a ground track is a big advantage for high traffic sites where forklifts and trucks are naturally prone to damaging this mount causing sliding gates to derail. Cantilever gates are a more robust gate system that typically require less maintenance, and also offer higher levels of security than swing gate solutions which makes them a better option for at-risk properties. Manual or automated options available. Hampden can assist you with automating your gate and adding an access control solution to restrict access to unauthorised visitors or intruders. All gate automation solutions and access control systems are specific to the needs of your property and will be matched to the nature of your gate and usage. Please contact Hampden Fence today to discuss your gate automation and access control requirements. Because no two sites are the same, all Hampden gate solutions are custom-fabricated to suit each customers’ specific needs. 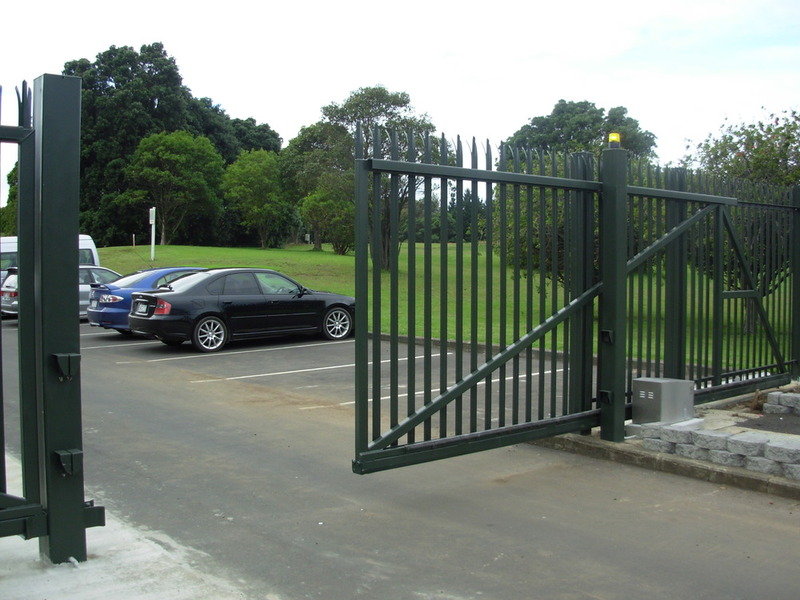 Whether its a entrance vehicle access gate, or a simple pedestrian gate, Hampden can provide a range of options with varying degrees of automation or enhanced security features. Our experienced fabrication team has custom-made thousands of gates over the past 45 years, and the only real limit to what they can achieve is your imagination. Our gates can be fabricated to match your existing fence styles and we can arrange for a stylish finish to create a lasting first impression for visitors to your site.